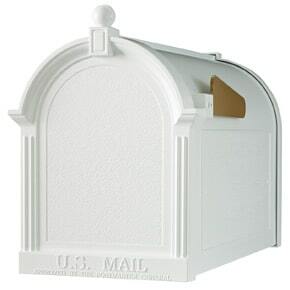 NOTE: Model shown is with upgraded post and address panels. 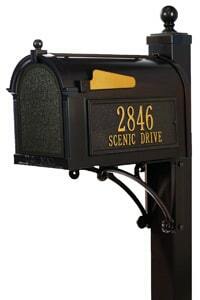 “Our Price” is the starting price of the Standard Post configuration before upgrades. 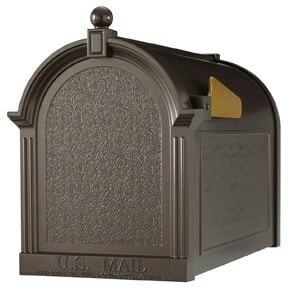 See all available finishes and accents and product options. 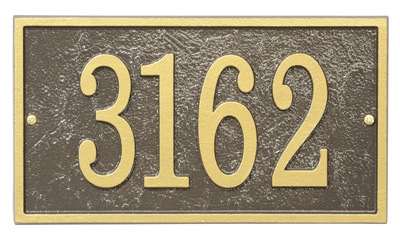 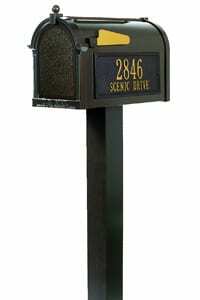 Model shown is with upgraded post and address panels. 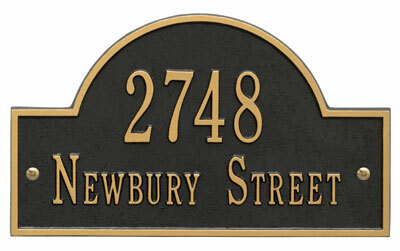 “Our Price” is the starting price before upgrades. 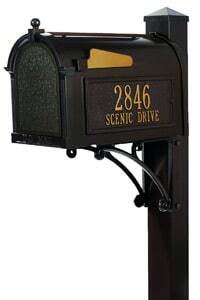 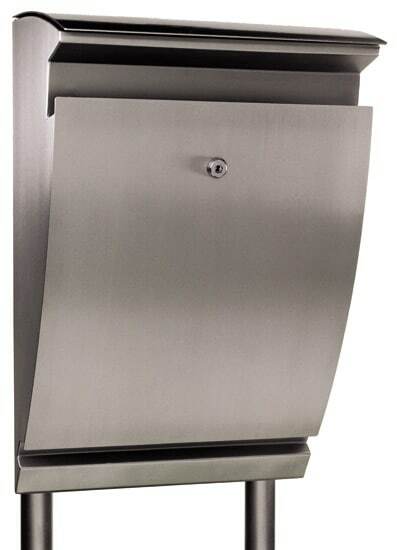 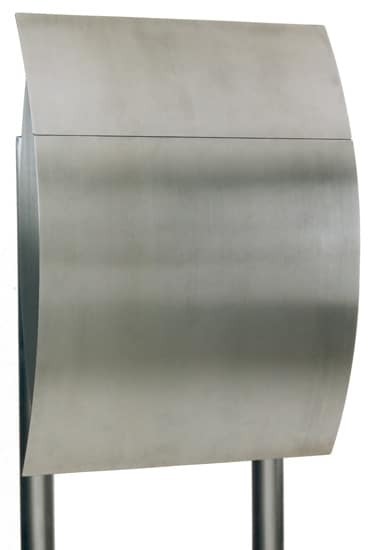 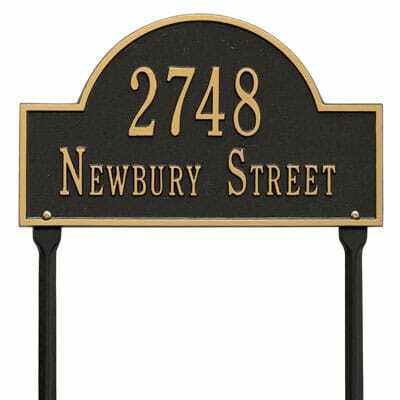 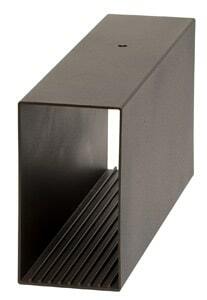 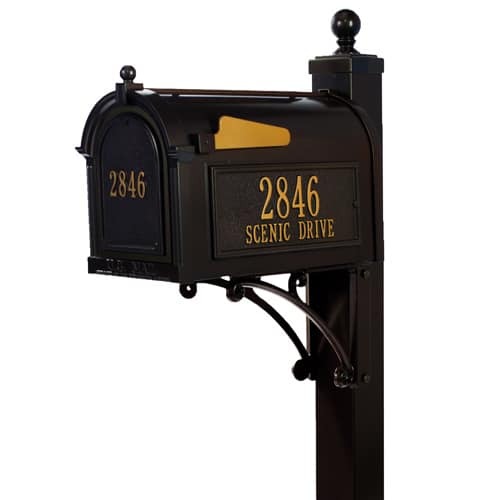 Whitehall custom mailbox and post package features a mailbox that is 20% larger than most premium post mount mailboxes on the market today. 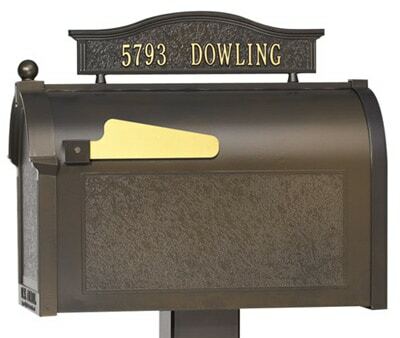 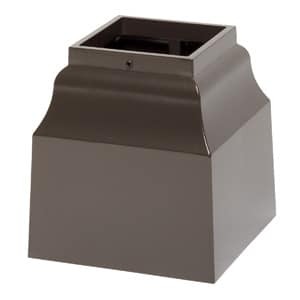 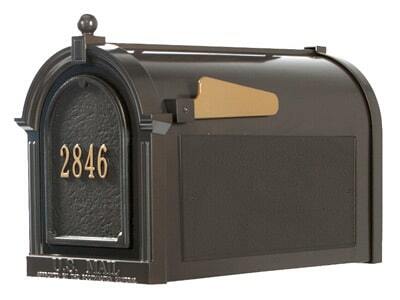 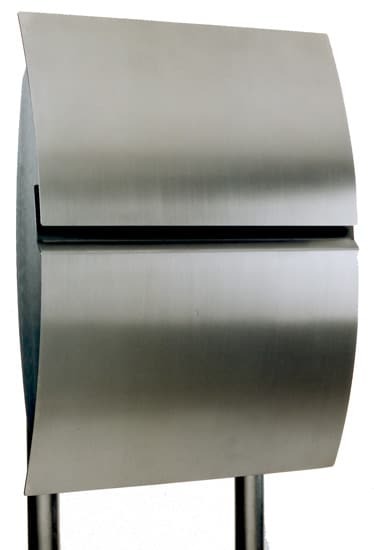 This Whitehall mailbox also comes with a gold flag -call us or chat with a customer care rep if you have any questions. 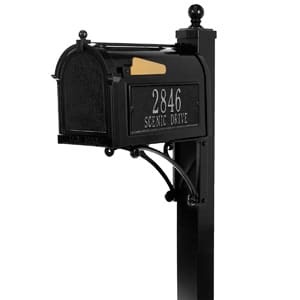 For help with your order or if you still have questions about the Whitehall custom mailbox and post package, please call us or chat with a customer care rep if you have any questions. 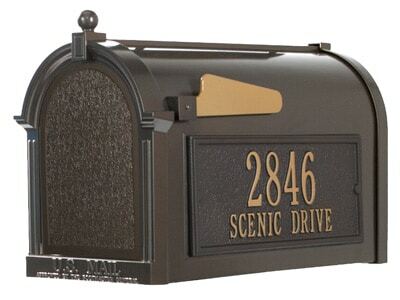 See all our mailbox and post packages here. 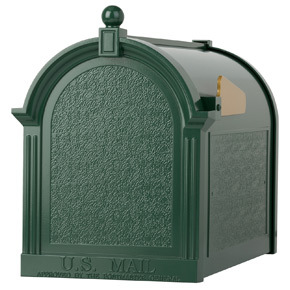 Standard Post 40" 4" 4"
Deluxe or Superior Post 54" 4" 4"